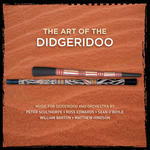 The art of the didgeridoo : music for didgeridoo and orchestra / by Peter Sculthorpe, Ross Edwards, Sean O'Boyle, William Barton, Matthew Hindson. Swooning : music of endless rapture. 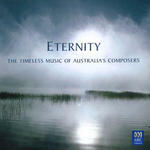 Composed especially for the dawn performance which took place on the sails of the Sydney Opera House at sunrise on the first day of the new millennium and was telecast live to an estimated audience of two billion people around the world. Its simple message is expressed in languages of the Asia-Pacific region and its musical resources reflect Australia's cultural diversity. Unknown date: The Salon, Melbourne Recital Centre. 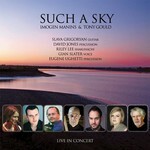 Featuring David Jones, Imogen Manins, Tony Gould, Riley Lee. 22 Sep 2012: at Dawn Mantra (Kings Beach Stage). 22 May 2010: at The Wellspring (Fitters' Workshop). Featuring The Song Company. 25 Feb 2009: at Kalkadunga Man (City Recital Hall Angel Place). Featuring Roland Peelman, The Song Company. 1 Jan 00: On the sails of the Sydney Opera House at sunrise on the first day of the new millenium.. Featuring Sydney Children's Choir, Sandy Evans, Riley Lee, Ellena Baroni, Lyn Williams, Nicholas Routley, Sydney Chamber Choir, Matthew Doyle.